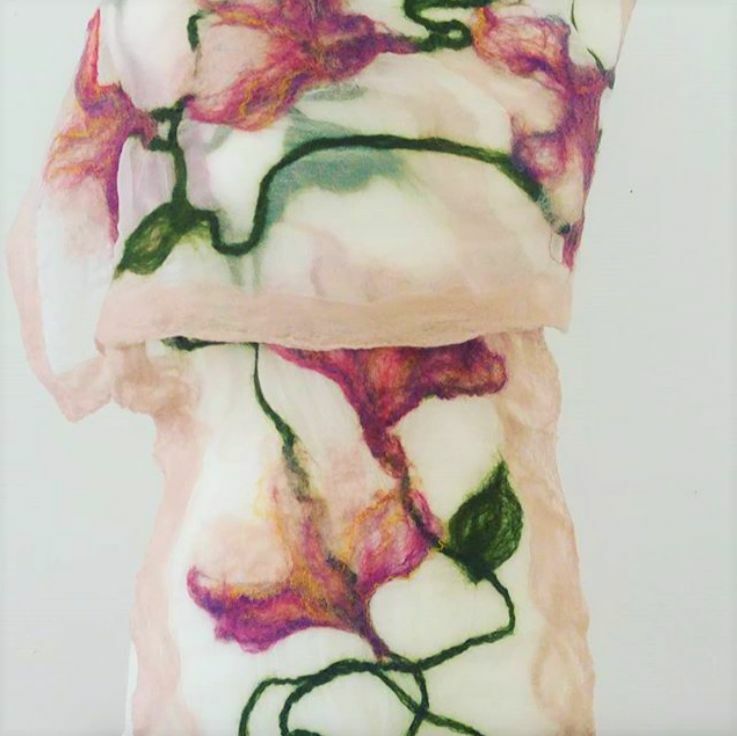 Nuno felting is the art of felting with wool tops onto fabric such as silk or muslin. It creates a beautifully delicate effect and wonderful patterns and designs can be made. 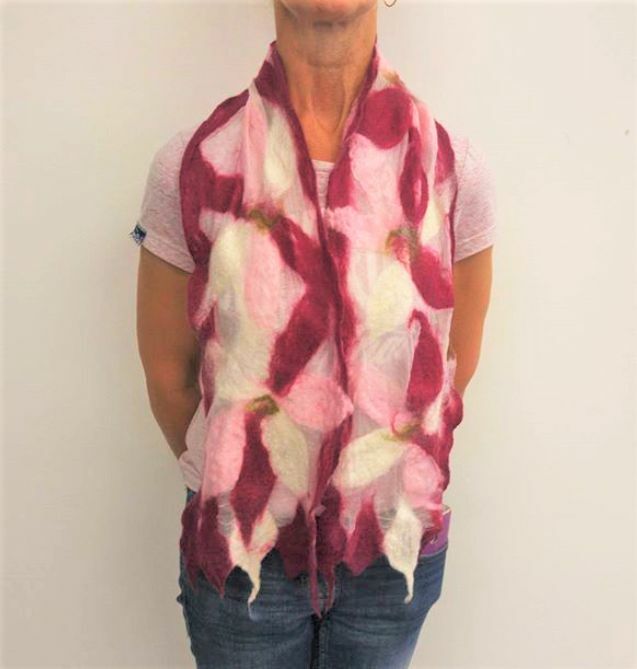 In this four hour course you will learn how to nuno felt and experiment with different shapes and styles and then apply the technique to design and make your own nuno felted scarf.